Are you considering switching your business energy to Hudson Energy, a newcomer in the UK energy market? What do their existing customers think about them? Only just recently launched in the UK, Hudson energy was a company that only operated in Northern America until 2012. Now they operate in both England and the Republic of Ireland, with offices in Milton Keynes and Cork supplying small and large businesses with electricity and gas, most of which are renewable. Hudson Energy is a subsidiary of ‘Just Energy’, which is a group of 7 energy companies that serve both the domestic and commercial market. There are two main options to consider, whether you are a small business which means you are spending less than £25,000 on your electricity or if you are a corporate business which means you are paying more than £25,000. A small business will likely have less than 20 sites, and corporate business will probably have more than 20 sites. If you fall within the small business category, you can get instant quotes that are fixed for your contract period, and if you fall within the category of a large business, you can get custom quotes that have bespoke pricing. 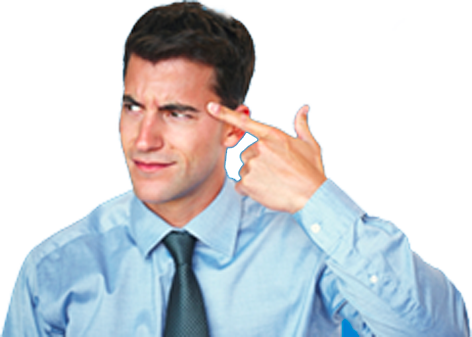 Full fix: For businesses that need to have budget certainty, this option gives you peace of mind and limited risk. Semi fixes: Fix part of your charges and maintain flexibility. Energy only: Fix your energy prices only, gives you access to wholesale energy prices. These contracts are between 1 and 36 months in length, for half hourly and non-half hourly premises and have renewable energy options. FIT or feed-in tariff is a government scheme that means Hudson Energy will pay you for the excess energy that you generate using renewable sources such as solar power, hydro, wind turbines or biomethane. You do this by applying to Hudson energy or another energy supplier after you have installed your system. If you are eligible, once your application is accepted you will be registered on Ofgem’s Central Fit Register (CFR). This means that not only will you likely pay less for your energy, but you will be paid for your excess, some of which will go back to the grid. For more information, See Hudson Energy’s FIT page FAQ. Out of 38 reviews on Google, Hudson Energy only has a 1.6-star rating out of 5. Many of their negative reviews seem to be concerning poor customer service and a miscalculation with bills. This may be because they are a new company, in which case they may be able to fix some of these issues for the future. I have just had to report the death of my sister to Hudson Energy the way they handled it was superb. Virgin Media and Virgin mobile could learn a lot from this company. I tried switching to get away from the big six, but they gave me the runaround, couldn’t get through a few basic issues! Hudson Energy does not have any positive reviews on Trustpilot, but that may be because there are only four reviews in total on Trustpilot. On Google, they only have a 1.6-star rating out of 5-stars. Although online reviews are not always accurate, they should be considered when deciding whether to switch your business energy supplier. 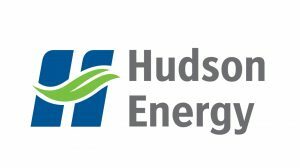 I have been with Hudson energy for 6months and could have wished for a better company to bill me for my gas and electric. Friendly customer services who I ring on a regular basis to see if I’m on the best plan. Very easy hassle free switch. Two thumbs up! We have a direct debit with this company. In the past two weeks not only have they taken their direct debit, but they have also taken £547 which we do not even owe them. Last week they put it back so why make the same mistake again. Hudson Energy might be a good fit for a company that is looking to switch suppliers to a business that gives your company bespoke contracts and prices to fit the size and sites you might have. Hudson Energy is a new company in terms of operating in the UK, so there are some understandable adjustments and training that needs to be given before they can match the customer service of some of their more prominent competitors. However, some of the reviews have been positive when it comes to their service so it seems that once they have developed the business they should be a strong option for UK customers.